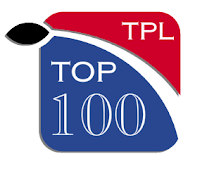 Here's all the various bits and pieces left over from the TPL100 that we haven't published yet, all together in one post before we shut the book on the TPL100 until next year. Firstly, a list of all the players who got votes for the Top 100*, but weren't ranked high enough to make it onto the final list. *well, 101, thanks to some clerical oversight resulting in Eric Weddle being accidentally omitted from the initial tally, and us not realising until after we started releasing the list. We mentioned in the "Introduction" post how the TPL100 broke down by position; here's how our countdown broke down by division and team.